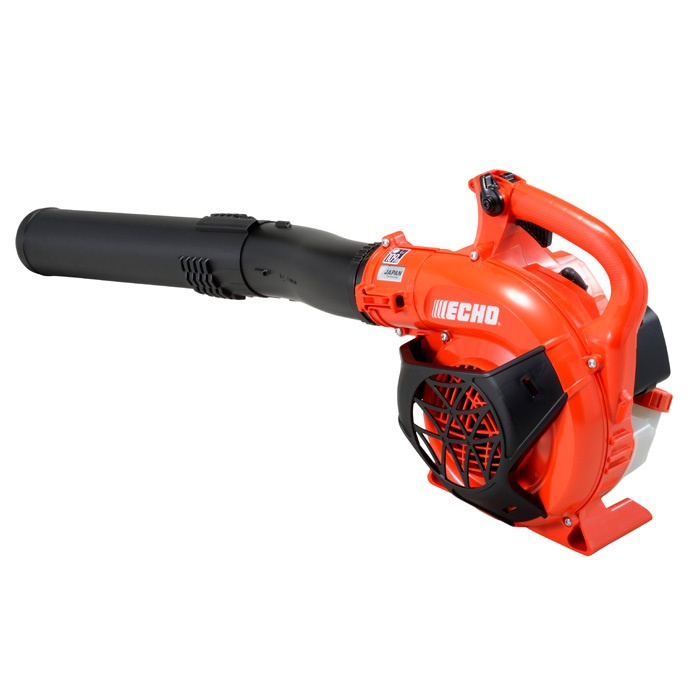 The Echo PB-2520 is a powerful 25.4cc, two-stroke handheld power blower. It is equipped with a range of features designed to increase productivity and operator comfort. Rotational control design reduces the gyro effect on the wrist for user comfort and reduced fatigue. Grouped controls, including a throttle with "Cruise Control", are easy to reach and allow comfortable operation. EZ lock keeps the blower pipe secured to the machine. The Posi-loc™ pipe system ensures a secure connection between sections of the pipe.